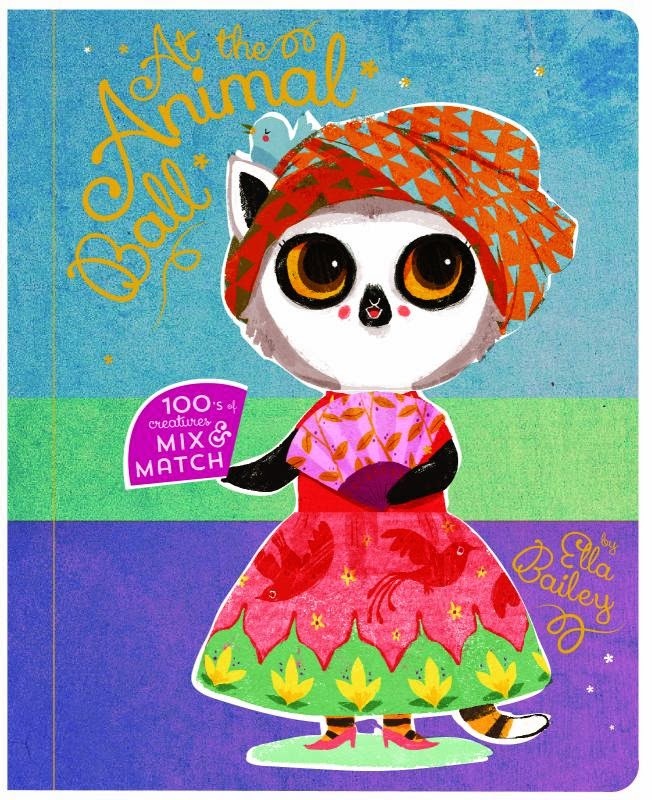 At the Animal Ball is a mix and match book with lots to do! Flip the horizontal flaps to meet all the animals at a special Midsummer’s Eve ball. They’re dressed in cultural costumes from around the world, and although the different countries are hinted at and adults will probably be able to recognise or guess them, they are not mentioned by name. The animals are enjoying the music and dancing. Panda is wearing a kimono and fluttering a fan, the wolf stomps his feet to the beat of the music, and the chinchilla is shaking maracas and wiggling her hips. At the Animal Ball is a larger than average board book, which is necessary to make best use of the flaps. Creating different combinations of the animals will offer lots of fun, and children will likely want to have a go themselves at the different dance movements - you’ll find the opportunity to practice snapping your fingers, shimmying your shoulders, and spinning like a top, among other moves. A great active and interactive book for toddlers and preschoolers.